There are currently 115,054 users on this website. To make it easy (tons of pics and words) I'll just link to my VW message board post. Enjoy. And I'm still looking for various stages so if anyone finds this obverse with the hair gouge, no matter which pairing or state, please hit me up. I'm a buyer and it will help the VAM cause.. Thanks! Don't know much about VAM's, but looks impressive. I would cover up your personal info in the letter, safety precaution. Slick work, Cascade. Well done! While I definitely give you a hearty congratulations b/c the experts are obviously thrilled your find. So would you mind pointing out the die gouges on the coin so I can have one of those "Duh" moments I (just as obviously) am due for? I looked at the pics last night. I read the write up. I looked at them again just now for 15 minutes or so and read the write up again. I took the link on the other page to see the pics of the gouges up close, but I cannot find them on the coin! I needs sum edumacation pleaze! Enemy Mine or Stargate SG1 or Star Trek Vouager? Cant remember but I know it's one of them! 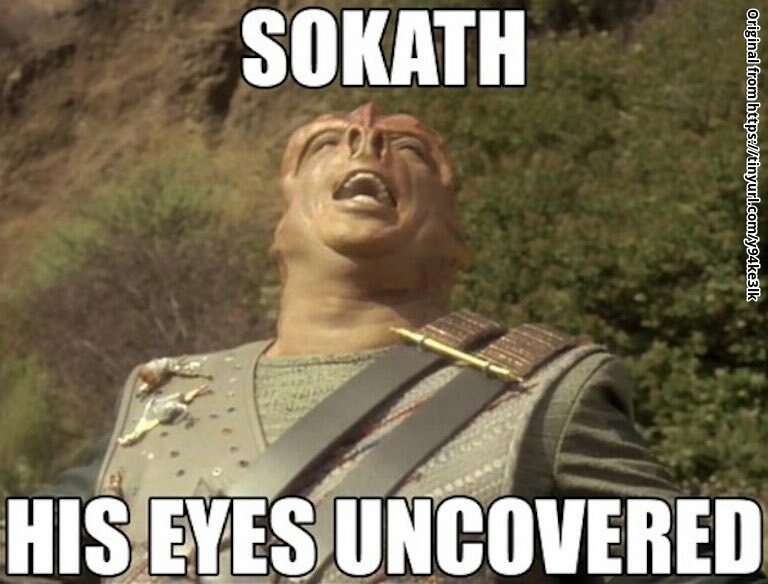 The episode of Next Gen called Darmok. Whoever wrote it actually had to create a metaphoric language and have it make sense. It was one of the few modern works of genius I have seen in a TV series for ages. The more you rewatch the episode, the more you understand the language and the more the mystery of what is going on unfolds. As a teacher, although I never got to use it in a classroom, I cannot think of a better way for kids never to forget what a metaphor is. Awesome work Chris! Now I have two more VAMs to search for!! Well done Cascade, good work, keep your loupe handy. Congrats on the discovery, Cascade. Quick question, Why do they call it vams or vaming? Why not just call It varieties?